My Property Mgr. & Pest Control Co. says that I must leave my apartment for 3 – 4hrs. so they can exterminate my unit for BED BUGS. My question is WHY do I have to leave my apartment for that ?? Management exterminated for roaches about 2 yrs. ago & I didn’t have to leave unit. This request of them is very suspecious; WHY DO I HAVE TO LEAVE. Called Platinum Exterminators their excuse is that legally I have to leave unit. There is no Law stating I have to leave. I say BS, BS, BS. I FEEL LIKE THERE IS SOMETHING THEY DON’T WANT ME TO SEE..PLEASE ADVICE, HELP, HELP, HELP!!! I am not sure what type of process the exterminator plans to use. One toxic free alternative is a heat treatment where unit is heated to 120 degrees. if there are using this technique I cannot imagine that you would want to stay in the unit. Have you requested in writing what method of extermination that the company plans to employ and why you cannot remain in the unit. i would begin there. I have been living in a multi-unit courtyard building in Chicagos Rogers Park area for a little over a year. About a month ago, I started getting bit. I then proceeded to find 3 live bugs, one dead, and one casing. I have been getting bit about once a week. I took action on my own, dusting food grade diatomaceous earth and some pet-friendly spray. I have also been doing loads of laundry and putting them in XL ziplock bags. I have already spent around 300. I called my landlord and he dropped off two sprays but made it seem like I was the only unit affected. He also made it seem that it was his first time dealing with this. On one of my laundry trips I met another couple who, I found out, have them as well. Since there are now at least 2 units affected, the landlord has to provide an exterminator correct? There are also loads of furniture out back that are not mine or the other couples. This sounds like a building problem. What should we be doing? What kind of professional treatment would work best? Do we have grounds to ditch all of our stuff and move if he doesn’t get a professional? I cannot afford to do much more on my own. I cannot tell exactly what type of insect is causing the problem. If another tenant has the same problem then it might be more widespread. It would be good to trap one of the insects to find out what it is. You can write a letter to the landlord demanding that action be taken that other tenants in the building are also being bit. You might want to get other tenants in the building together and have a meeting to discuss the situation, that way you can find out if others are also getting bit. You can also call 311 to request an inspection. Before ditching your stuff and moving out, you need more information. Thanks for the response John. I’m sure it is bed bugs. I’m no expert but I saved the dead one in a plastic baggie and in correspondence with the bites, I believe it is a bed bug. Hopefully we’ll het some help here. Thanks again. I have just discovered bed bugs in my mattress/box spring in our apartment and had noticed strange “bites” on my self and my wife before that didn’t match pics I’d looked at of bed bug bites. And they would go away after a few hours or days and didn’t itch. Anyway, now I’ve seen the little buggers crawling on the bed and was planning on discarding the bed and area rug, which are old anyway. And I’ll get protective covers for the new mattress/box spring before I bring it home. And after actually seeing them on the bed, I have decided to spend the day cleaning the bedroom but I don’t know how far to go in terms of cleaning or treatment; although obviously cleaning the whole place wouldn’t hurt. When I contacted my landlord I was told that it’s our responsibility to contact an exterminator as they are not seasonal pests. We both work but cannot afford this kind of expense and like mechanics and doctors and other “experts”, we don’t know how much is really “necessary” and what’s for show and to pad the bill when it comes to exterminators. Also I have seen ads for the exterminators that use beagles to detect bed bugs and their eggs…how efficient is that? I think for the most part they are effective. There are no guarantees. You did not mention in your email if this is a single family unit or a multifamily. If it is a multifamily building and other residents have bed bugs then it is the landlord’s responsibilities to exterminate. If not then you could be held liable for the cost though there is still an argument to made that the landlord needs to resolve the problem. I would check with others in the building to see if they are having any problems. The other issue to note is that not everyone reacts to bedbug bites. So people may have the pests and not know it. I’m currently doing some apartment searching and the place I want to apply to has a Bed Bug Rider attached to the application. It asks if I have lived in a building with bed bugs. The building I currently live in did have a case about a year ago 2 floors below mine. The building took care of it and my unit was never affected. Can the building that I’m applying for deny my application just because I lived in a building with bed bugs, even if my unit was never affected? As long as the landlord asks everyone planning to move into the unit to sign the rider, it would not violate discrimination laws. I do not know of any other the law the landlord would be violating. You could allow the landlord to come to your unit now to see that you do not have bed bugs and you could suggest that the landlord contact your current landlord as a way of demonstrating that your unit is free of bed bugs. I moved to Chicago recently, in March. Everything was fine until May when people from our Realty company and sprayed for bugs. Now we’re finding bugs everywhere. We’ve never had a problem with any kind of bugs until they sprayed in our unit. These people aren’t professional exterminators, they work for the realty company. Me and my fiance were getting stung and bit so badly that we couldn’t even sleep. They wanted us to pay $25 for bedbugs but said they would refund it if it wasn’t deemed bedbugs. I caught a bug with 14 legs and stingers and showed it to them. We had our whole APARTMENT fumigated and now four days later the bugs are back. My fiance is getting bit up so bad that he can’t sleep and he’s starting to get a fever. I recently found out from someone who works from the realty group that whatever they use to spray for bedbugs is the same chemical they use for their normal bug sprays! This is outrageous! They aren’t even getting rid of the problem and I don’t know what else to do. We don’t have the money to move, let alone to rent a moving truck. We have a very small budget for apartments, $525 is what we pay, but I don’t know what to do. How can they even have the right to charge $25 to spray when it’s what they use for the free sprays?! They apartments aren’t even how they advertise. Our window doesn’t work, our shower had to be ripped up two months into our lease, the pipes in the back of our toilet are broke, and now we have these bugs that won’t go away. I don’t know what to do. I will be advising you on the assumption that you are covered by the Chicago RLTO so please make sure that you are. First, I will explain what you should do with your management co. Write this letter if you cannot pay for extermination yourself. https://www.tenants-rights.org/apartment-conditions-repair-rent-reduction-sample-letter/ Demand that they hire a professional extermination company that has experience dealing with bed bugs. Smithereen is one that I know is very familiar with this kind of pest. If they do not do something consequential within 14 days of receipt of your letter, then you can reduce your rent by a SMALL %. Please be conservative with the amount you deduct. If you can pay for extermination, first write this letter and wait the 14 days. https://www.tenants-rights.org/apartment-conditions-repair-repair-and-deduct-sample-letter/ Again, demand that they have certified, licensed and insured BED BUG EXTERMINATORS to do the work. The max you can deduct for the extermination is $500 (keep the receipt) so be sure to keep that in mind if you do call around for estimates. Next, there are steps you can take to reduce the suffering you’re experiencing. (Be sure to be documenting with photos and videos.) Bed bugs are killed by heat. Take all the clothes, bedding, drapery, etc and put them in a dryer on high heat for at least 30 minutes. Then bring them back into the house in sealed garbage bags. Live out of those bags for a while to prevent them from re-infesting your clothing items. As for your carpets, furniture, mattress, etc – rent a steam cleaner machine and run hot hot steam over where bed bugs and/or their eggs may be – particularly in crevices. If you do take this path, you may be able to put the cost of renting the steam cleaner if that repair-deduct letter so be sure to write that. The other problems in the unit can be taken care of by the repair-deduct letter also. In either letter, write down ALL the problems in your unit that you want addressed. I’ve lived in my apartment since July and started getting bitten by bed bugs about 2 weeks after I moved in. My bed was at my mother in law’s house and my couch was sealed in plastic and in storage before my husband and young son moved into the apartment. My mother in law has not a single bed bug in her home, as a precaution she had a professional go through her home to check for nests and they found none. Initially we didn’t know we were being bitten by bed bugs because the apartment also had a very bad flea problem and we didn’t realize the difference between the flea bites and bed bug bites, I just figured some of the fleas took bigger bites than others. Our landlord hired an exterminator who came 3 times to kill the fleas, but my husband, son, and myself were still getting bites all over our bodies. One night, about a month after we moved in, the biting was so bad that we got out of bed flicked on the light, and saw them (the bed bugs) running all over our bed. One evening alone I got over 60 bites on my body. We informed our land lord in September (two months after moving in) that the bites were intolerable and additionally I was about 5 months pregnant and bringing an infant into the unit would be impossible for us. So they said they would take care of it. We left our unit ready for entry so they could exterminate, only to come home to an apartment covered with oil and a fume so strong, we had to spend the night at a hotel. To this day I don’t know what they used, and we still have bed bugs. It is almost January. We have thrown out our box spring and wrapped our mattress in a bed bug protectant covering, we have also thrown out our couch as on our own we cannot afford an exterminator. The landlord gave us a bottle of Boric Acid and told us to put it down ourselves when we continued to complain about the bugs. They further told us to wash our clothes in vinegar. None of this works. I am now in my third trimester of pregnancy and I fear bringing an infant into this unit. I fear buying new furniture, my legs are scarred from bed bug bites, my 1 year old son keeps claiming that he is bit when there is nothing there, and my husband and I are isolated from our friends and family out of fear we will spread these creatures into their homes. We live in an owner occupied 3 flat, so it seems we are exempt from the general Chicago Rules, but we did sign a standard Chciago Apartment Lease that says it is the landlord’s responsiblity to maintain the property at all times free of vermin or pestilence. We have been dealing with bugs since we moved in, and for fear of my children’s health and my sanity I am not sure what to do. We have no furniture except for our mattress now, and we really really just need some help. I am sorry that you are going through this bed bug infestation. Bed bugs are extremely difficult to get rid of. The most effective means that we know of to get rid of these pests are heat. Washing your clothes, linens, etc in hot water and drying them in high heat will help some. There are exterminators that heat the room up to high temperature and that tends to kill all the bugs plus the eggs. This method is expensive and most landlords try to avoid. . You can try a couple of things, starting with visiting your neighbors in the building to see if they have bed bugs. The more people you have to pressure the landlord the more likely it is that you will succeed. You can also try calling 311 or the health department and requesting an inspection. They may force the landlord to do something. You could ask the landlord to terminate your lease though it may mean that the bugs will just hitch hike a ride to your new unit. Extreme cold also kill the pests. Some people have put furniture and matresses on the roof during the night when it gets to 0. I have recently moved into an apartment and found that I had bed bugs because I am getting an average of 4 bites each night. The apartment was not really willing to do anything because they said they could not find any bedbugs. After I found one on my wall, they took it and said they would spray my apartment as a “precaution”. They have begun a 3 month treatment program to get rid of my bugs. The night after the first treatment, I was bitten 6 times. They said it will get worse before it gets better. Am I really expected to live in this apartment for 3 months like this? As of right now, I am paying full price on rent for an apartment where I am a host for parasites and I cannot really invite anyone over the holidays. They tell me I should not be going to anyone else for a place to stay, either, because I will not want to carry any bugs with me. The terms of my lease say I cannot use any sprays or try to address the problem on my own. What can I do? I live in the Dupage area and woundering if your organization can be any assistance to me. Since it networks out of the Chicago area.If not can you please direct me to the correct organization. Not sure what your question is. I believe that Prairie State Legal Services works in Dupage County. If I never had bed bugs until after I moved into my new apt and the building is a HUD building, does the landlord or building manager have the right to make me pay for the bug removal from my home, when I was not the person that brought the critters into my home to begin with, I am on social security and can not afford almost a $1000.00 to clean my apt of these pests. Please help, I don’t know what to do now!! HUD issued a memo recently https://www.tenants-rights.org/region-5-hud-bed-bug-memo/ to read the memo. It is next to impossible to prove who caused bed bugs. I would start by talking with your neighbors and seeing if any of them have bed bugs. I would also contact HUD main office to complain that the management is trying to charge you $1000. I would also write a letter to the owners and managers stating that you did not cause the bed bugs and that they need to take care of the problem. If other tenants have bed bugs, then I would try and organize the building to pressure the owner to take care of the problem. If you want help organizing the building, please contact our hotline 773-393-4988. I recently had my unit exterminated for bedbugs. The landlord told me my unit was infested in every room and that I was required to discard all of my furniture. I did not introduce these insects into my apartment and have no idea how they got there but I am now stuck with the consequences. How will I ever show this unit to a prospective roommate if they see the condition of my place? And if I move, how can I be certain I am not transporting them to my new location? I am really shaken by this whole thing. Please — any advice would be welcome. Did you discard your furniture like your landlord asked? If not, I think it would be wise to get a second opinion from a pest control professional. Often, furniture and mattresses can be saved and do not need to be replaced which can be very costly. Bed bugs are an increasing epidemic in the Chicago area and so you could have gotten it from anywhere. You can make sure you do not transport the bed bugs via your clothing or bedding by putting your clothes, drapes, bedding, etc through a dryer on HIGH heat for about 30 minutes – that will kill all bed bugs and their eggs. Then, bring those items back to your home in sealed garbage bags and keep them in there until your apartment is free of the infestation. If the extermination didn’t work, you can ask your landlord to hire an exterminator to do a “heat treatment”. It is also important that all tenants who have bed bugs in the entire building have the problem taken care of because if your neighbor has it and you just got rid of them, they could come right back – so talk to neighbors to see if they’re experiencing the problem too. 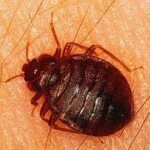 Great article and some good information for anyone with a bed bug problem. You can also use desiccant dust to combat bed bug infestations and in studies at the Ohio State university proved to be very effective. The article is here and makes interesting reading. There are several parts to your question. First, I agree that the landlord should notify all the tenants in the building if bed bugs have been found in a unit. There is no law requiring this. MTO believes that owners should be required to inform tenants of any bed bug infestation. Bed bugs are a problem that can be handled especially if it is done in a timely manner as soon as the outbreak is discovered. Many times there is no need to discard or bedding. Fumigating the unit with pest bombs are not the proper way to handle an outbreak. They are completely ineffective and some experts believe that it may cause the bugs to spread. It also does not do any good to spray every unit. The chemicals only kill the bed bugs if they come indirect contact. It is not like spraying for roaches. From our perspective the most effective way to kill the pests is to use a hear treatment. It is nontoxic. The problem is that it is very expensive. Anyway the first step is hire a certified exterminator. Even here there are problems as because of the bed there are a growing number of firms claiming knowledge of this problem who do not know how to handle bed bugs. MTO believes that EPA needs to develop a certification for bed bug extermination in order regulate this new part of the industry. In regards to to the final part of your question, is the landlord responsible for some or all of the cost. To figure this out you will need to contact an attorney. If the building had a known problem you may be able to make a case of negligence on the landlord’s part. You may be able to make a case for reduced rent or other ways to receive some financial compensation. A task force involving tenants with the problem, and MTO and lawyers in private practice is needed NOW! Not next month, not in the spring time, but NOW! I would be happy to volunteer as the first lawyer in private practice to become so involved, and I do have ideas on how to accomplish social justice in these cases. MTO should recommend a lawyer or lawyers to you and then meet together to work out a strategy. The Chicago City Council is developing an ordinance around bed bugs. If you could call your alderman and tell them what is happening in your building and ask them to include a provision in the law that would mandate landlords inform tenants if there are bed bugs in the building so that they could be on the look out that would be great.